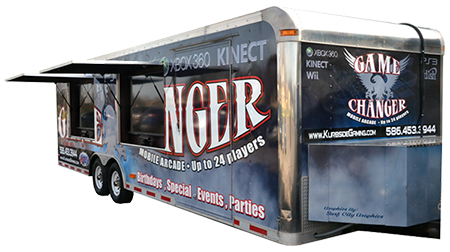 This game truck will be the hit of any birthday party, graduation party, private party, coporate event, school event, church picnic and grand opening events to name a few. 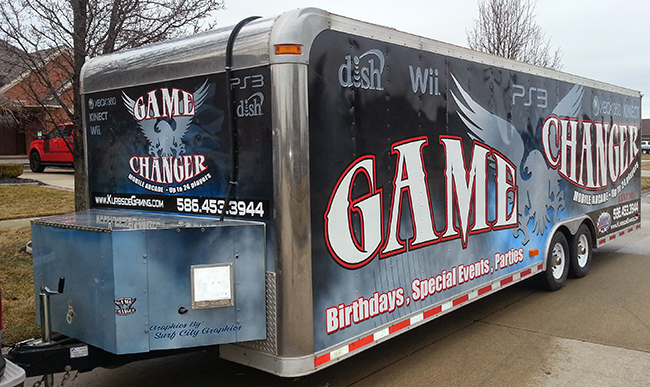 30 feet long Game Changer Video Game Truck. 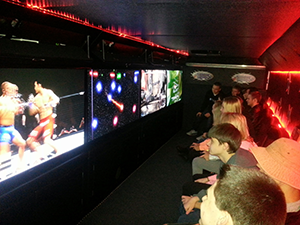 Accommodates up to 24 players at a time. Awesome interior surround sound for ultra realistic gaming experience. 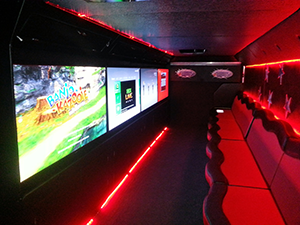 4 interior gaming stations with high definition huge flat screen 60" televisions. 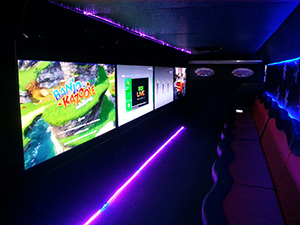 2 outside gaming stations featuring huge 70" high definition flat screen televisions with xbox Kinect and Nintendo Wii for dancing and sports game fun!